Napolitano’s budget proposal seeks to dramatically increase the size of DHS management and administrative bureaucracy, asking for a $47 million dollar increase of headquarters staff – without increasing the agency’s border workforce. This would mean that with time, due to the dramatic rates of attrition plaguing the agency, the numbers of active agents and officers protecting our ports of entry would actually decrease. “Madam Secretary, to put it mildly, I am very concerned about DHS FY11 budget request as well as the current state of the Department,“ stated Rogers. 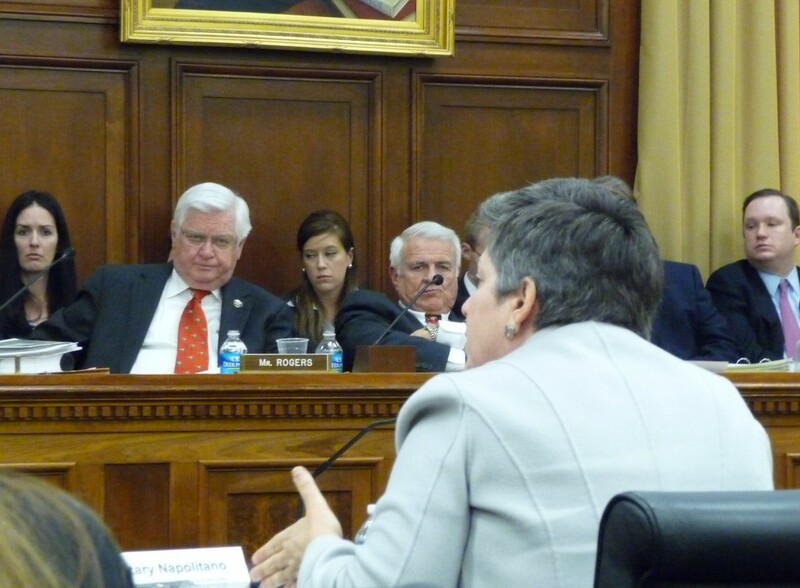 Congresswoman Lowey also asked Napolitano about the funds for the Whistleblower Protection Act (WPA), since none of the budget was devoted to the protection of the DHS whistleblowers. In the passing years, the agency continued to waste enormous resources on investigations, prosecutions, firings and other forms of retaliation against whistleblowers who report fraud, waste, abuse and national security breaches within the agency, at the enormous expense to the American taxpayers. Napolitano did not provide any response to these valid questions and the agency’s proposed budget for the Inspector General operations represents mere 1% of the budget.